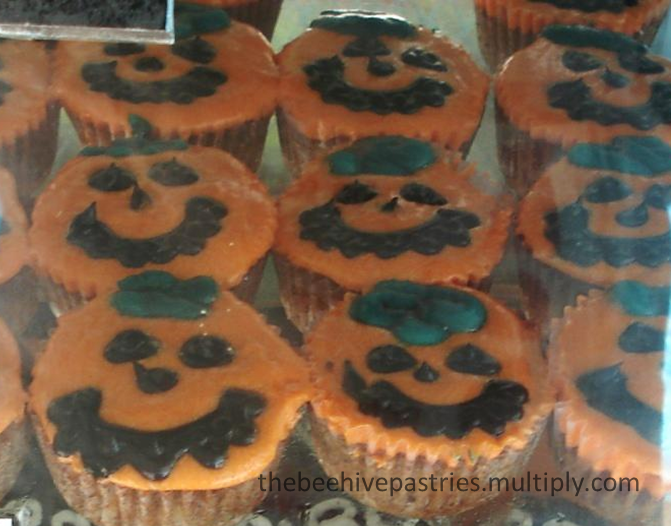 Made these cupcakes last year for halloween, had a great time making them, and turns out they're uber-simple to do too. Read on to get tips. 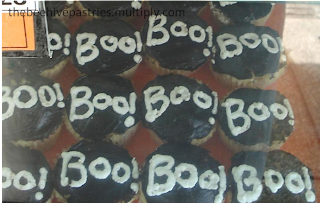 Sorry for those who are guided by decorating tip numbers, I have already gotten the tip #'s I used for these. Strawberry shortcake disguised as mummies. 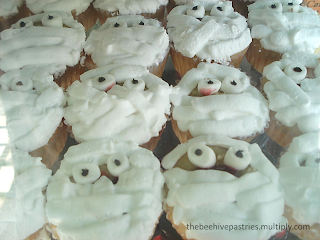 Used whipping cream and a flat tip to make toilet paper like strips; small marshmallows for the eyes, chocolate icing for the eyeball, and strawberry blood inside. These are Spider Fudgy Espresso bars, made with fudgy brownie base, mocha icing and chocolate as the spider web, used a small round tip (#2/ #3). 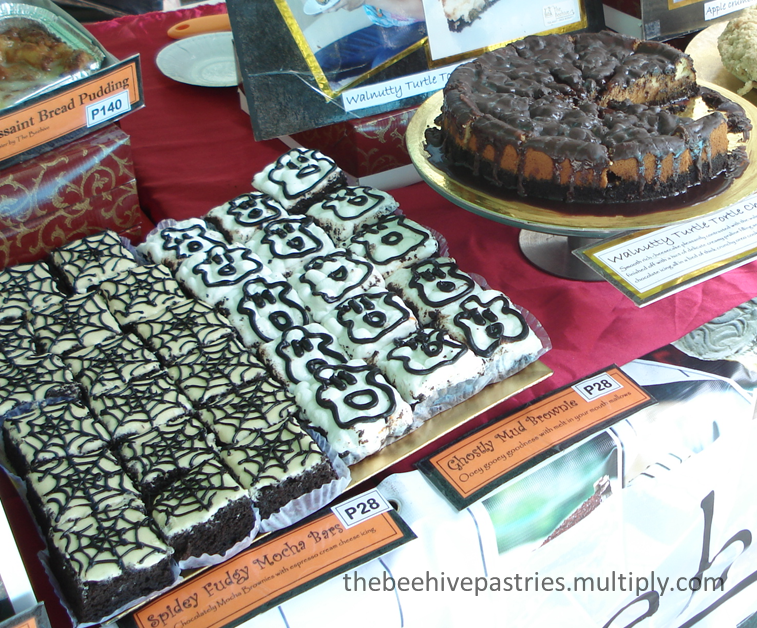 For the ghost, these are mississippi mud brownies- brownies topped with marshmallows, used chocolate icing for the design. Last is a cheesecake made extra creepy. 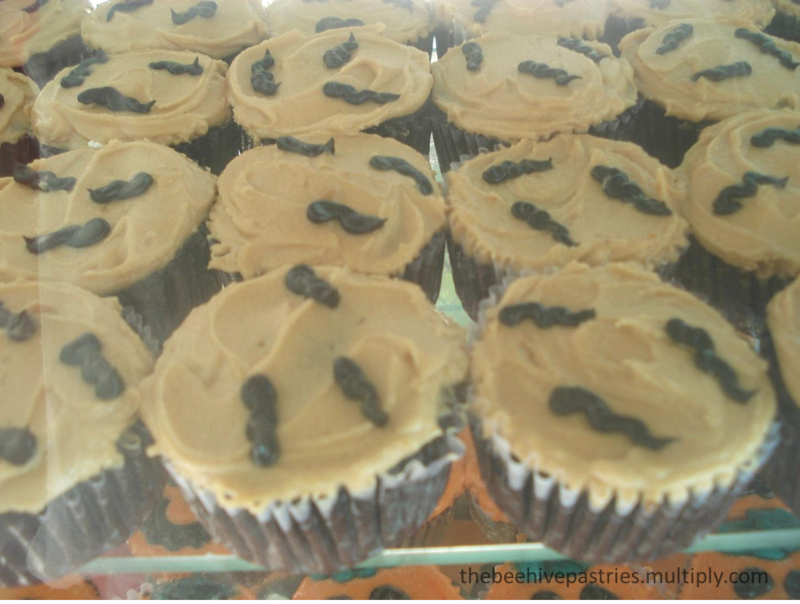 These Nutty Batty cups are actually chocolate cupcakes with Peanut butter icing. Used chocolate icing (used thick round tips) for the batty print. 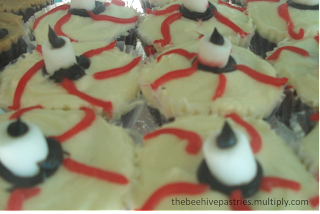 These bloody-eyed Red Velvet cupcakes are made with ultra moist red velvet cake, cream cheese icing, red butter icing marshmallow eyes, chocolate eyeballs and eye rounds. 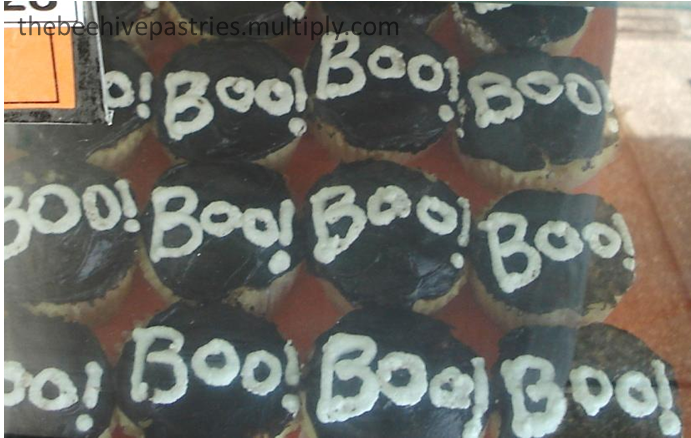 Booston Cream cupcakes are vanilla cupcakes with custard filling and chocolate icing. Used white whipping cream for the text. Carrot cupcakes with orange cream cheese icing, green butter icing patch and chocolate eyes/nose/pumpkin grin.